SelectDFW believes that travelling is not just about getting from one place to another. It is a journey wherein we make memories depending on how pleasant or unpleasant we find the trip, no matter if it is a 5 minute commute or a 2 hour drive. Therefore, we present to you Dallas Executive Transportation to make every journey a memorable one. Dallas Executive Transportation understands that business operations demand a lot of travel and if not done correctly, travelling can get very tedious. How would you like to relax and unwind with little breaks provided to you by Dallas Corporate Transportation? Dallas Executive Travel is the most luxurious mode of transportation in Dallas, Texas and also the most reliable. We make all your business travel experiences comfortable, luxurious and relaxing. Our services are perfect when you want to impress your business delegates by showing them the luxury you can afford, when you want to reward your employees for all the hard work they provide your company with and when you want a much deserved break from the stress of work. 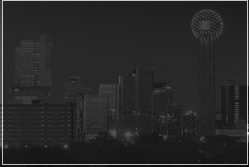 Dallas Executive Transportation understands all your business travel needs. Therefore, we strive to offer you the best transportation services whenever your business may take you.